With details both stately and elegant, the Imperial Leather Belt is perfect for adding extra detail and polish to medieval, Renaissance, and fantasy outfits. This buckle belt is handcrafted from 7/8 ounce vegetable tanned leather. 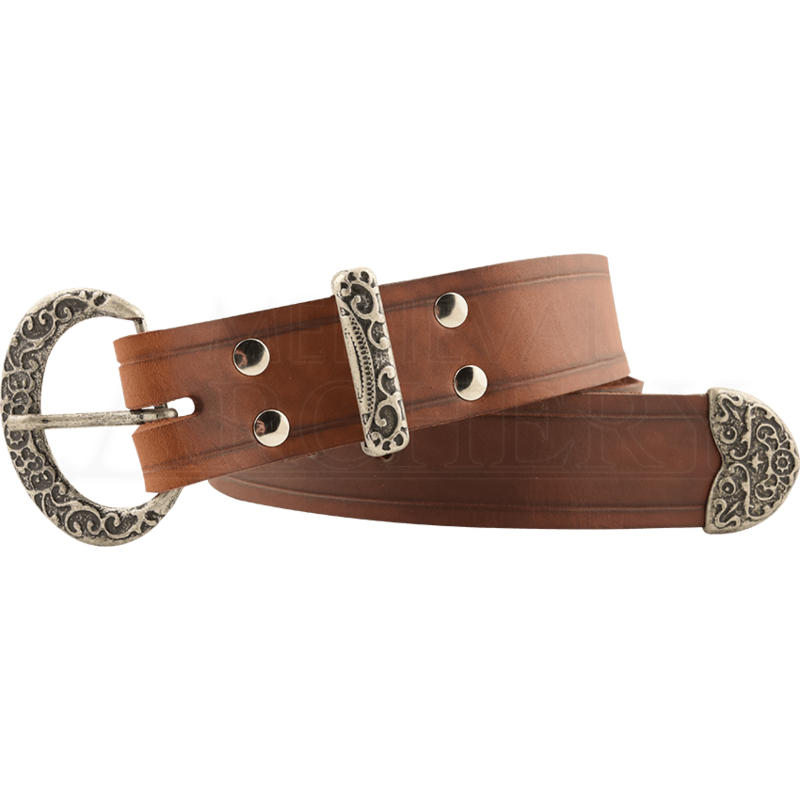 The round belt buckle, belt keeper, and belt tip are made of steel and all feature an engraved scrollwork design. An embossed line along the edges of the leather belt creates a border. Available in a variety of colors and sizes, this leather buckle belt makes a fine accessory for the Renaissance fair, LARP events, historical reenactment, and more.